Thank you for visiting the Caddo Parish Assessor's Web site. As your Caddo Parish Assessor, my mission is to fairly and equitably assess all property in Caddo Parish for ad valorem tax purposes. Our office will always have an open door policy for anyone to discuss their assessment as to its accuracy and fairness. We welcome your comments about this Web Site or any other matter that is related to our office. The Caddo Parish Assessor is responsible for discovery, listing, and valuing all property in Caddo Parish for ad valorem tax purposes. This property includes all Real Estate, all Business Movable Property (Personal Property), and all Oil and Gas Property and Equipment. The Assessor is responsible to the citizens of Caddo Parish for ensuring all property is assessed in a fair and equitable manner to the property owners. 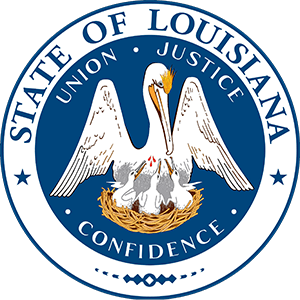 At the same time, the Assessor is responsible that the assessments are done according to the Constitution of the State of Louisiana and the Revised Statutes that are passed by the Legislature. The Assessor is responsible for filing the Tax Roll annually with the Louisiana Tax Commission on which all the property taxes are based. The Assessor must also maintain the property maps for each piece of Real Estate, maintain the legal description of each property parcel, as well as maintain the ownership inventory of each parcel. The Caddo Parish Tax Collector, which is the Caddo Parish Sheriff, is responsible for sending tax bills and collecting taxes based on the assessments and the millage rates. The annual parish tax bills are sent out in November and are due by December 31 of that year. Each municipality within the parish is responsible for sending tax bills and collecting taxes based on the assessments and the millage rates for that municipality. The city sets these millage rates or tax rates. The different governing bodies within the parish set millage rates for the parish. These governing bodies include the Caddo Parish School Board, Caddo Parish Commission, Caddo Parish Sheriff, and several others. Also there may be additional millages set for the individual Fire Districts, Water Districts, etc. that depend on where the property is located. Caddo Parish’s real estate records are available online and free to the public. We have made some new exciting upgrades to the free public search. Our constituents can now search by owner name, Section-Township-Range, and subdivision. You can also view the property on GIS maps. Real estate professionals who need value-added options and more powerful database query options will come to rely on the professional search. It has been said it changes the way people do business. And as a parish-sponsored program, we are glad to provide this product. Subscribers to the “Pro Search” can now search and view real property records with geospatial imaging layers. The map viewer incorporates a point-and-click application blended with parcel boundary layers. This Interactive Mapping tool will let subscribers visualize the property on a map, view the parcel boundary lines and approximate dimensions, and then link the parcel with its real property record card. Add history cards to your subscription with the History Card Search, which will enable you to search across three different sets of criteria. The results will allow you to look at all the images associated with a subdivision in a single book or you may browse through different pages that are associated with that subdivision. PDF versions of the history cards can be viewed, printed or saved to your hard drive. If your needs are short-term, the Day Pass option allows you access to the real property professional search as well as the Business Personal Property search. Perfect for anyone needing quick, professional access without mapping or history cards. Note: Mapping and History Card addons are not available for the day pass option. Additional datasets are included with the Professional Search such as property transaction histories, tax districts, and homestead information. Searching is also expanded and includes the ability to search across different fields. Note: Mapping and History Card searching is available for an additional cost. Subscribers to the Professional Search can now search and view real property records with geospatial imaging layers. The interactive map viewer incorporates a point-and-click application blended with parcel boundary layers. This tool enables subscribers to visualize the property on a map, view the parcel boundary lines, approximate dimensions, and link the parcel with its real property record card. Note: Requires monthly access to the Professional Search. History Card searching and downloadable images. Adding history cards to your subscription will enable you to search across four different sets of criteria. The results will allow you to view all available images associated with a subdivision in a single book or you can view the varies pages in the corresponding book. PDF versions of the history cards can be viewed, printed, or saved to your device. August 16 - Books open for public review and inspection. August 30 - Last day Books are open for public review and inspection. September 10 - Last day to file an appeal. December 31 - Parish and City property taxes are due. December 31 - Homestead Application - Must own and occupy by. If you are 65 and older you may qualify for this special assessment freeze. To find out if you meet all of the requirements please contact our office. Homeowners may apply for the homestead exemption. Our office provides many forms that you may need to file your taxes. Including a variety of LAT forms.